This is a new discovery and our new favorite bread staple. 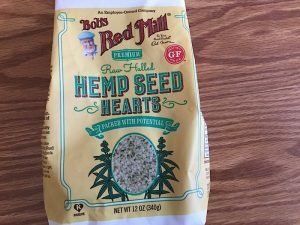 The hemp hearts add a nice texture and great health aspects. It makes amazing french toast, garlic bread, or use it for dipping with your favorite sauce. The loaves always look a bit different but no matter what shape the "blobs" take they are always delicious! 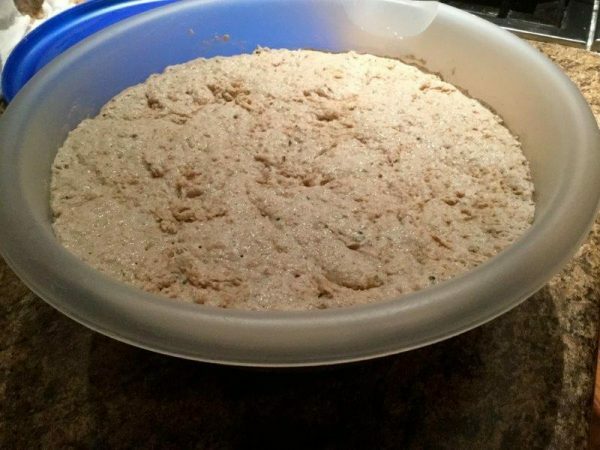 In a large Tupperware bowl dissolve yeast into water and let set for about 5 minutes. 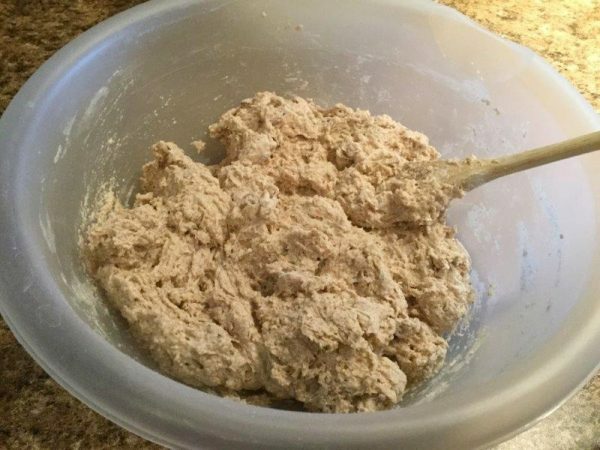 In a small bowl mix all dry ingredients and add to water/yeast. Mix well by hand and cover with a loose fitting lid. Allow to set at room temperature overnight or until approximately triples in size (approximately 4-5 hours). This is what is should look like. 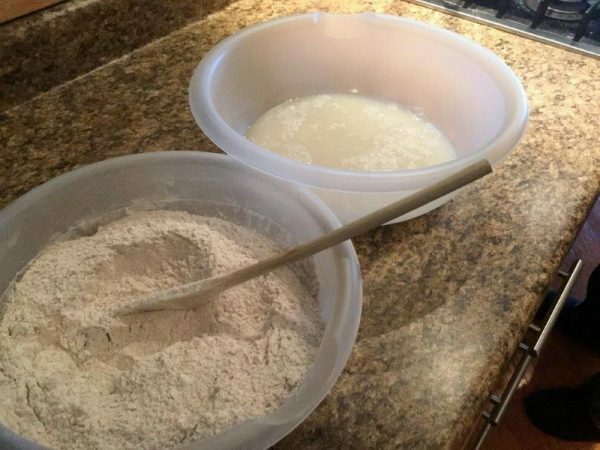 Use as much flour as you need to get it out of the bowl & on a well floured surface. 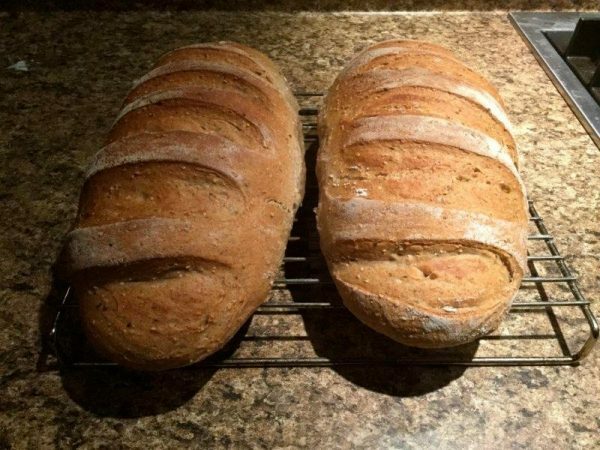 Form into 2 oblong loaves and make several diagonal slits on the top of each one. Divide in half and form 2 oblong loaves. Cut several diagonal slits on Cover wooden pizza paddle with parchment paper and place loaves on paddle. 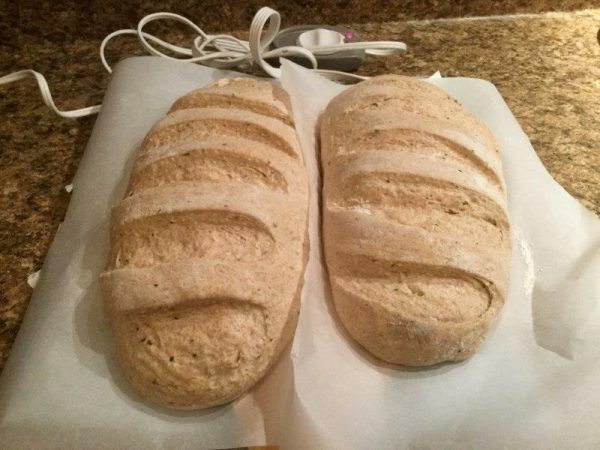 Set paddle on heating pad (yep - a household heating pad is my favorite bread making tool) for 30-60 minutes (depending on how hot your heating pad is) and allow to raise covered with a tea towel until about double in size. Place ceramic pizza stone on middle oven rack and shallow baking pan (I use the bottom of my broiling pan) on the bottom of oven. Preheat to 450 degrees. With paddle, carefully slide loaves onto stone. Add 1/2 cup of cold water into hot broiling pan. Bake for 25-30 minutes. Allow to cool on rack before freezing. 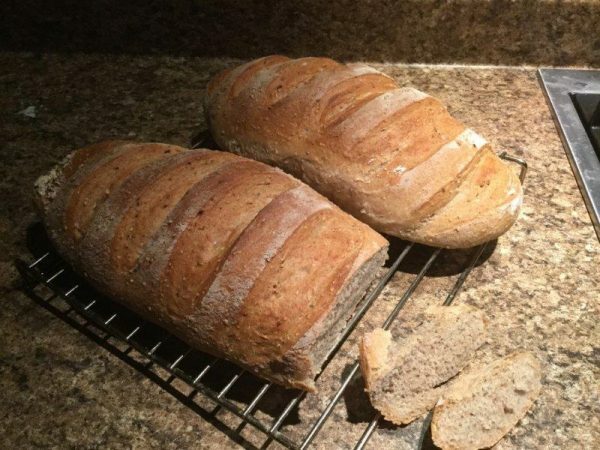 I cut each loaf in half, keeping one in the fridge and the other in the freezer. Be sure to try the Non-wheat version of Blob Bread too.